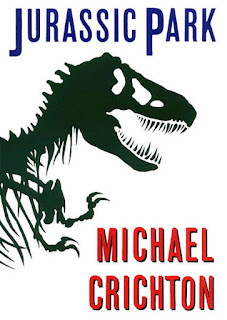 Crichton's classic suspense thriller begins by appealing to the wow-factor of experiencing dinosaurs live on the page, but unlike the movie adaptation, which had to do some serious research to properly animate so many of the extinct creatures, the real story of the book is not about dinosaurs at all. It is about generic out-of control monsters, and people being chased by them. As such it's still a really well done plot--the last two-thirds of the book hold the reader in constant suspense. As a weaver of a tale, Crichton is a master here. His writing style, on the other hand, ranges from comfortably smooth and readable to just plain bland, which, I predict will allow this book to gradually fade from center stage. I loved Lord of the Rings--in fact it's one of my favorite books (OK, it's a trilogy, but you know what I mean). I’ve already published a review here, all in verse. But I found Silmarillion to be a dreary, pedantic read. Far too much narrative, dragging on and on, rarely interrupted by dialogue. A few of the key parts of the story held my interest, but through too much of it I felt I was just plodding through. Tolkien didn’t publish this stuff himself because it was unfinished, so he’s not to blame. (It was published by his son in 1977.) Blame his rampant popularity—fans want anything and everything he ever jotted down on paper. I absolutely understand, but I guess those fans are a little more obsessive than I. 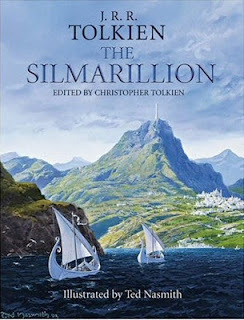 It took me well over 20 years to actually get through the Silmarillion. A hard read indeed.